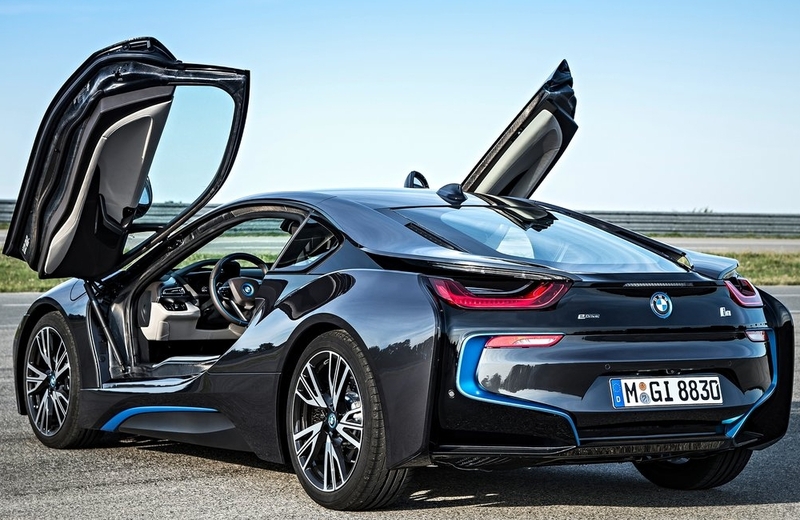 UNITED LIFE » Automotive » BMW i8 – a missed opportunity or an in-time evolution of supersports? 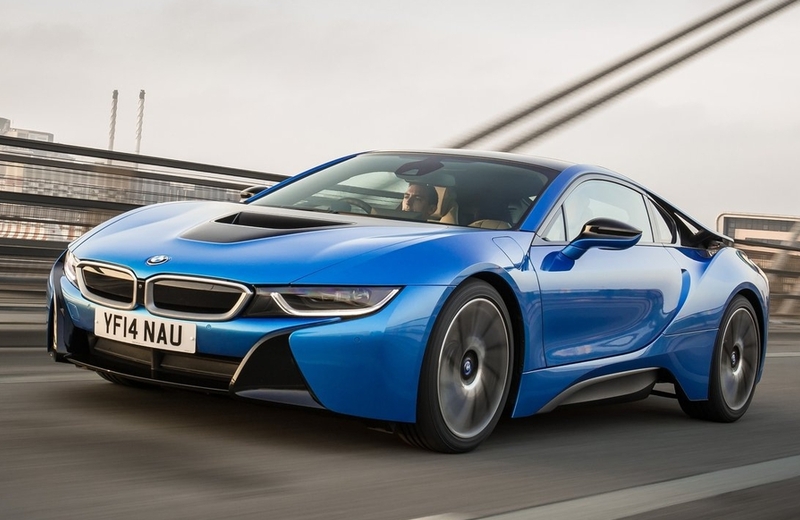 BMW i8 – a missed opportunity or an in-time evolution of supersports? 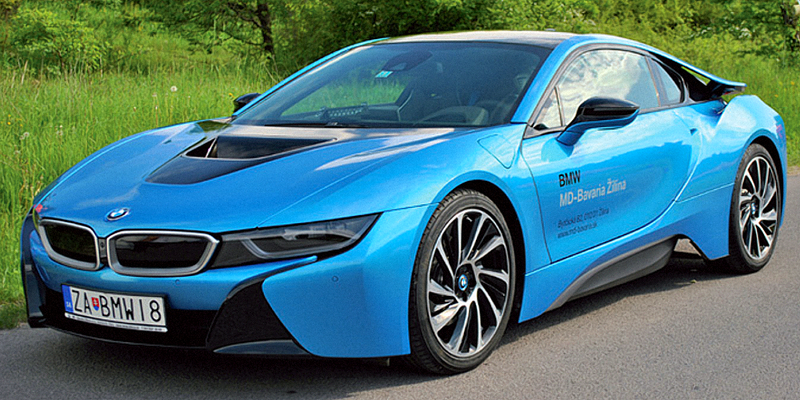 Plug-in hybrid BMW i8 is a car that raises controversy. It´s the avant-garde of eco-sports cars, but its electric range is only 35 kilometers. After a personal experience with i8 we believe that BMW focused particularly on emotions. These will captivate you even before entering the futuristic cockpit. The focus on eco-power is now the largest in the history of transport. Car factories have never before sought to reduce emissions as well as fuel consumption so radically. 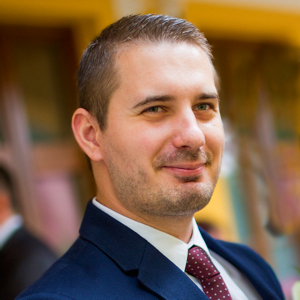 Therefore it is quite understandable that the power of classical combustion engines is supplemented by other power units that help reducing fuel consumption and increase the overall performance – thus we call them hybrids. BMW i8 is a typical example of this trend and demonstrates its positive characteristics. A TwinPower Turbo petrol engine with a volume of only 1.5 liters is the main drive unit of this already iconic vehicle. The front axle is equipped with an electric motor so the car is a four-wheel drive in total. The 1.5-liter three-cylinder in a sports car looks a bit funny but together with the electric one they offer a decent base for excellent drivability. And there is of course the driving pleasure so typical for BMW. The total engine power is 266 kW (362 hp) with a combined torque of 570 N.m. 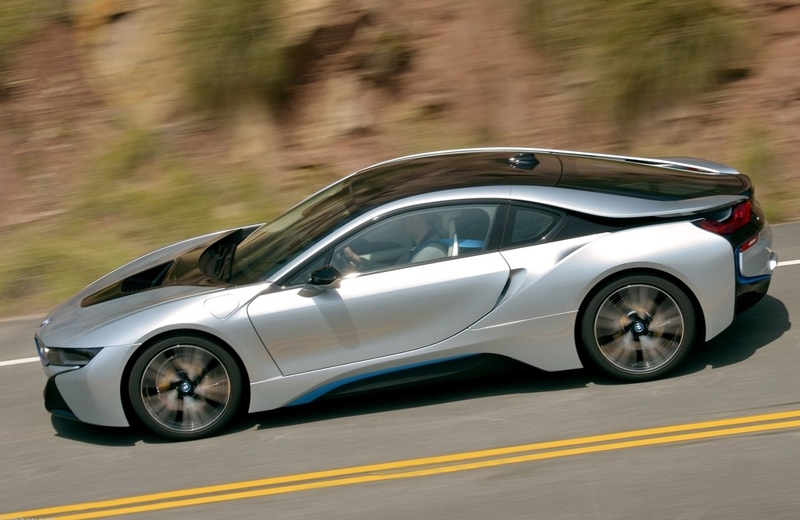 When you purchase a new BMW i8 it will have an activated speed limit to 250 km/h (155 mph). This vehicle could surely take more, particularly when you consider its acceleration from 0 to 100 km/h in 4.5 seconds. According to its manufacturer the average consumption of BMW i8 is only 2.5 liters per 100 km of driving which sounds little too optimistic. A single charge – which by the way takes about 90 minutes in accelerated mode – can take you around 35 kilometers on electric power. In this mode you also have to accept the fact that your BMW runs only on front-wheel drive. It would be extremely quiet if the imitation of internal combustion engine sounds were not activated from speakers. All of the above are technical parameters of a vehicle that attracts with an atypical drive unit and postmodern design. The beauty of i8 lies in its ability to please its driver and passengers. i8 is about sophisticated modern interior, applied materials, comfortable seats with excellent lateral support, blue safety belts and also about the fact that when you press the accelerator pedal to the floor, this small car sets off like a space shuttle. The engine noise behind you which is strong and audible in spite of the small cubic capacity proves that you’re not sitting in a thoroughbred electric car. Another detail that you cannot miss while driving is the amount of attention received. Wherever you are – at a gas station, on the highway or in a fast food parking lot – you will be the center of attention of hundreds or thousands of people every day. Every morning you will look forward to finally sit in your hybrid and thanks to this your confidence will hit the ceiling. It is really difficult to distinguish the line between pride and vanity when sitting in this car. i8 is anything but an ordinary vehicle. It has an unusual drive unit that can be enjoyable for some and disappointing to others because of a poor distance range. It features an expressive futuristic design which is ahead of its time and therefore makes such a spectacular impression on the road. It attracts a lot of attention which sometimes turns into frustration because of the lack of a roaring sound so typical for supersport cars. BMW i8? Certainly yes, but we would like to allow the creators to play around with its most controversial model a little more.